Cancer is a disease of the genes. Like every human being, each person’s cancer is unique. Unfortunately, conventional ‘Standard of Care’ approach does not take into consideration the overall genetic architecture of a particular patient’s tumor and consequently patients usually suffer due to failed therapies or aggressive relapse. It is thus imperative that the genetic architecture of the tumor is studied comprehensively before deciding the treatment plan, especially were treatments are failing or even the Standard of Care options are unsatisfactory. Newly diagnosed patients with difficult cancers such as Stomach, Oesophagus, Pancreas, Gall bladder, GIST etc. 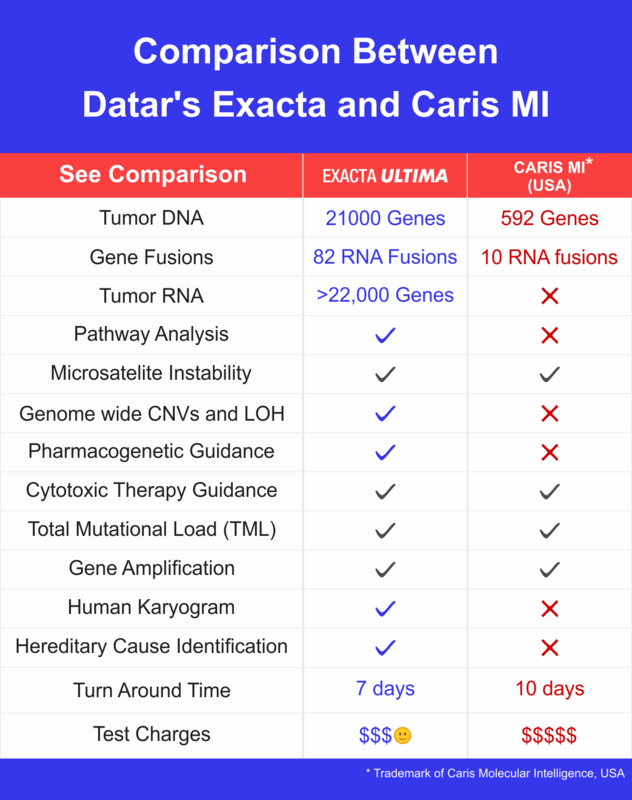 Exacta is an extreme analytical tool for difficult cancers. It captures peculiar characteristic of a person’s tumor at the molecular level. Analytical information from the tumor DNA, RNA, Proteins and in vitro response / resistance of live, viable tumor cells are all integrated by a sophisticated Artificial Intelligence based algorithm. Exacta reaches the depths of cancer’s mechanisms through 100s of millions of data points. This reveals the driver mutations and pathways that are propelling a particular person’s cancer and can be targeted with precision drugs. Exacta thus enables a highly sophisticated treatment strategy beyond conventional perspective. This is the unmatched strength of Exacta. 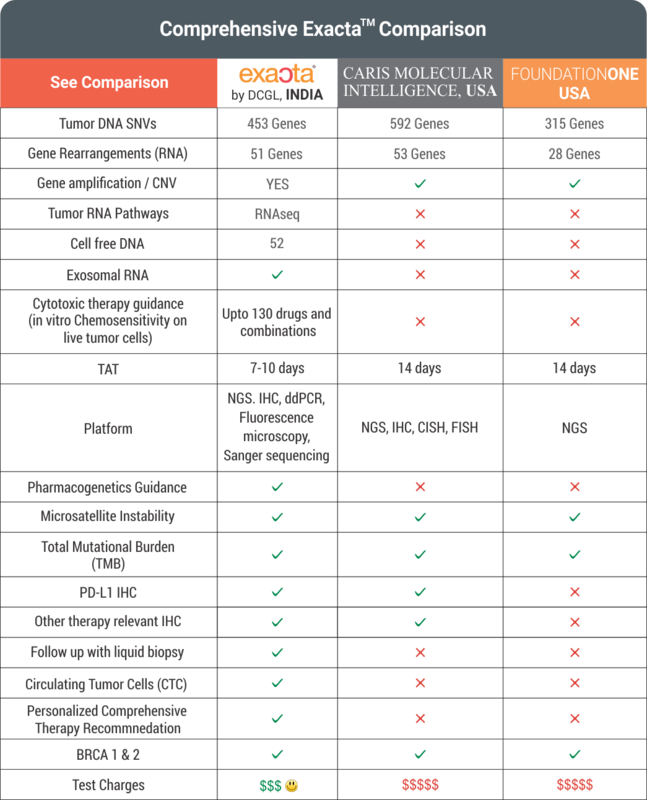 Exacta is the latest and the world’s best molecular analysis for difficult cancers. Technically, it is thus best describe as Encyclopedic Tumor Analysis.